Rajat is a part of ALMT’s corporate-commercial practise and has expertise in capital markets and securities laws, acquisitions, joint ventures and foreign investment in India including strategic investments in listed companies. Rajat was part of the team that developed the capital markets practise of the Firm which specialises in public offerings in India and abroad. 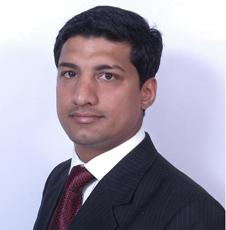 He has extensive experience working with stock exchanges and public markets and has advised over 60 companies in accessing the Indian capital markets through IPOs (Initial Public Offers), FPOs (Further Public Offers), rights issues and QIPs (Qualified Institutional Placements) as well as acquisition of shares. Rajat also advises various companies on their debt and equity offerings on international bourses such as the AIM, LuxSE, NASDAQ and ASX (Australian Stock Exchange). Rajat has considerable expertise on matters relating to acquisitions/takeovers of listed companies and has a good understanding of businesses across sectors. He also advises clients on establishments of investment funds in and outside India. Rajat regularly advises venture capital and private equity funds as well as promoters on investment transactions as well as large corporate houses on their joint ventures and cross border transactions and has a good understanding of businesses across sectors. Rajat has authored articles and research papers relating to corporate laws and has been invited to speak at various seminars & conferences relating to his areas of expertise. Disclaimer © Copyright 2011. ALMT Legal.